From crafting small jewelry box or kitchen drawer to the layout of a massive patio or deck, a great many building projects require that you "square up" the corners of any project that needs to be precisely square or rectangular in shape. Woodworkers, carpenters, and landscape pros have a fairly easy method of doing this, based on ancient mathematical principles. 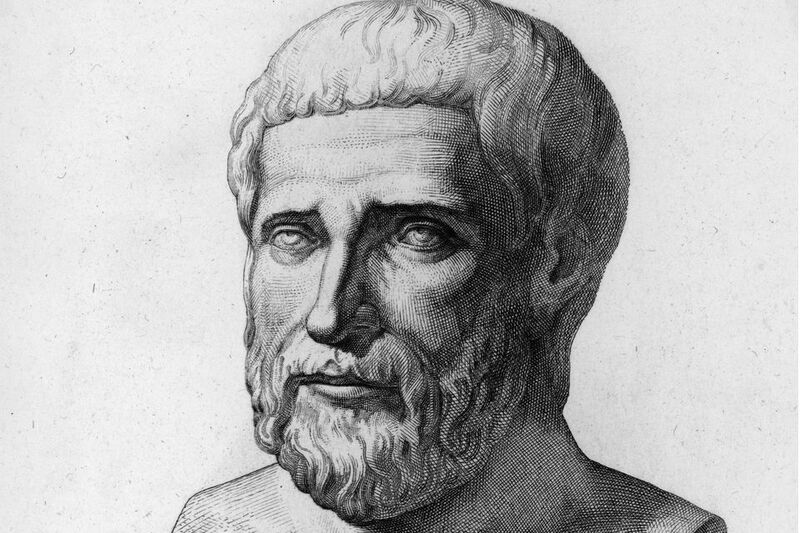 The Greek mathematician Pythagoras is credited with discovering and proving in ancient time what would later be famously known as the Pythagorean Theorem. In reality, it's likely that this principle was used for thousands of years before being formally proven by the Greek mathematician. If you remember anything from your schooling, you may remember this "a2 +b2 = c2" rule for calculating measurements of a right triangle. In the hands of woodworkers and builders, the Pythagorean Theorem becomes the 3-4-5 proportion method for establishing square layout lines or checking a project to make sure its angles are square. On one side of a corner, measure 3 inches (or some multiple of 3 inches) from the corner and make a mark. On the opposite side of the corner, measure 4 inches (or the same multiple of 4 inches) from the corner and make a mark. Next, measure between the two marks. If the distance is 5 inches (or the appropriate multiple of 5), your corner is square. The key element here is the proportions used, not the unit of measurement. The 3-4-5 method could also be the 6-8-10 or the 9-12-15 method since the proportions are the same. And any standard of measure can be used, whether it is inches, centimeters, feet, or meters. For outdoor project layouts, for example, establishing square corners for a patio layout might use 3 feet, 4 feet, and 5 feet as the measurements for checking layout lines. Why does this work? Because the 3-4-5 method is simply a modified version of the classic Pythagorean Theorem. If we plug the following values into the theorem (a=3, b=4, c=5), we find that the equation is true: 32 (9) plus 42 (16) is equal to 52 (25). The beauty of this rule is that it is scalable to almost any size. An excavation crew digging a foundation for a home, for example, can position long strings stretched between batter boards, then use measurements of 9, 12, and 15 feet to check for squareness of the foundation layout. And of course, metric units of measurement can also be used. For that matter, any unit of measurement can be used, up to miles or kilometers. It doesn't really matter what scale you use, provided you maintain the standard proportional relationship of 3-4-5. What Does OC or On-Center Mean With Building Projects?